The most famous part of the Great Ocean Road is the 12 Apostles section. I had seen so many pictures, but the reality was much more spectacular. I just remember standing there saying “wow!” dozens of times and struggling to get myself to walk back to the bus when it was time to move along. It’s one of the most beautiful places I’ve ever seen, and even though I’m sure it’s enjoyable without a tour, taking a tour really did make it less stressful. 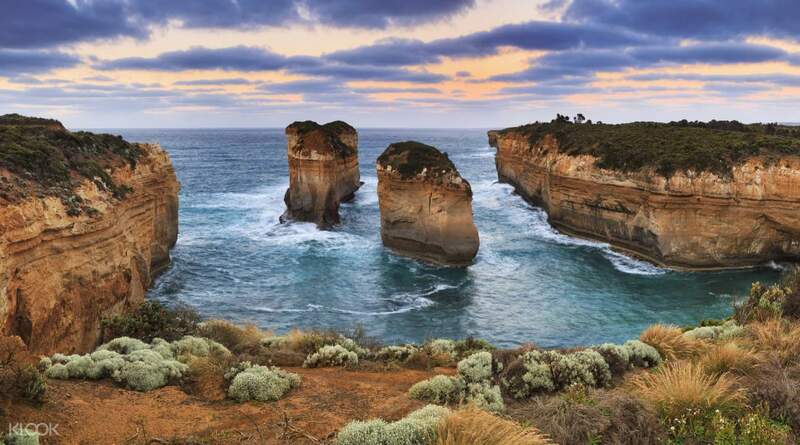 Leaving Melbourne city behind, you'll embark on this classic road trip driving part of the 243km route along the pristine coastline of Victoria. Your first stop for the day will be at Apollo Bay, a local beach town frequented by locals and tourists alike during summer. Here you can grab lunch at one of the cafes or walk along the beach. 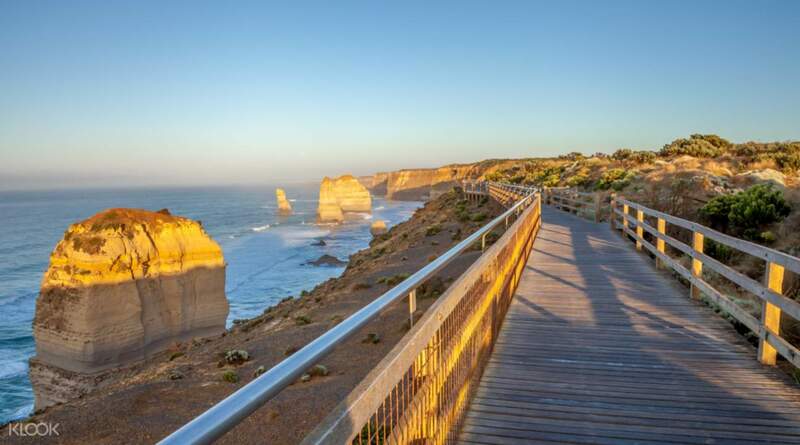 Get your cameras ready as you approach the Twelve Apostles, the best vantage point is from above at the Scenic Walk. You might only be able to see eight instead of twelve of the Apostles, make sure to ask your guide why! You'll then make your way to the equally impressive Loch Ard Gorge, another natural phenomenon with an interesting story behind its name. 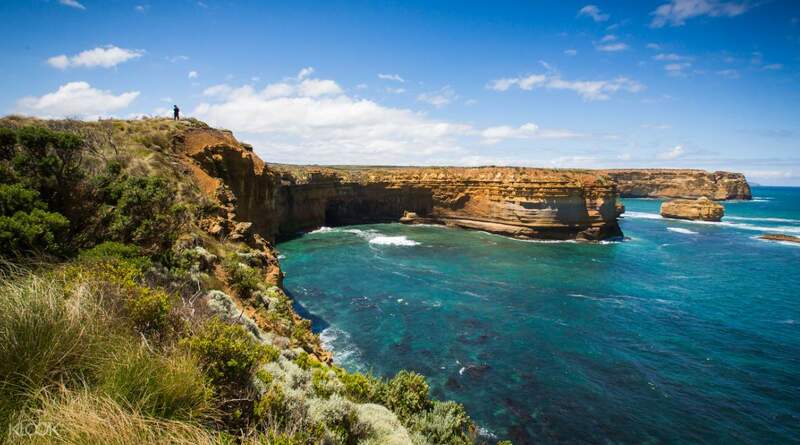 Before heading back to Melbourne, your tour will stop by the quaint seaside town of Port Campbell. Indulge at one of the local cafes or bakeries for afternoon tea and walk around the small town lined with boutiques and galleries. After a day of exploring, you'll head back to Melbourne! If you are not getting a hotel pick up, please make your way to the meet up location:** Federation Square, Corner of Flinders & Russell Street** (5 minute walk from Flinders Street Railway station). The most famous part of the Great Ocean Road is the 12 Apostles section. I had seen so many pictures, but the reality was much more spectacular. I just remember standing there saying “wow!” dozens of times and struggling to get myself to walk back to the bus when it was time to move along. It’s one of the most beautiful places I’ve ever seen, and even though I’m sure it’s enjoyable without a tour, taking a tour really did make it less stressful. The most famous part of the Great Ocean Road is the 12 Apostles section. I had seen so many pictures, but the reality was much more spectacular. I just remember standing there saying “wow!” dozens of times and struggling to get myself to walk back to the bus when it was time to move along. It’s one of the most beautiful places I’ve ever seen, and even though I’m sure it’s enjoyable without a tour, taking a tour really did make it less stressful. One of the most relaxing trip as we just sat on the bus ! And got off at all the stops. Driver is friendly and entertaining. Brought us to many picturesque places to admire the natural landscapes of Melbourne love it ! Super good driver too amidst the tough terrain to drive slept well! One of the most relaxing trip as we just sat on the bus ! And got off at all the stops. Driver is friendly and entertaining. Brought us to many picturesque places to admire the natural landscapes of Melbourne love it ! Super good driver too amidst the tough terrain to drive slept well! Journey to the great ocean road was scenic though it was winding. Recommended to sit on the left hand side of the bus if you would like to get an up close view of the coastal scenic view. Many stops along the way and our driver, Bratt from AAT King was very informative and professional. The bus was comfortable with built-in lavatory for passengers convenience. The scallop pie at Apollo Bay is recommended. Journey to the great ocean road was scenic though it was winding. Recommended to sit on the left hand side of the bus if you would like to get an up close view of the coastal scenic view. Many stops along the way and our driver, Bratt from AAT King was very informative and professional. The bus was comfortable with built-in lavatory for passengers convenience. The scallop pie at Apollo Bay is recommended. great! we love this trip. love Great Ocean Road. good driver. great! we love this trip. 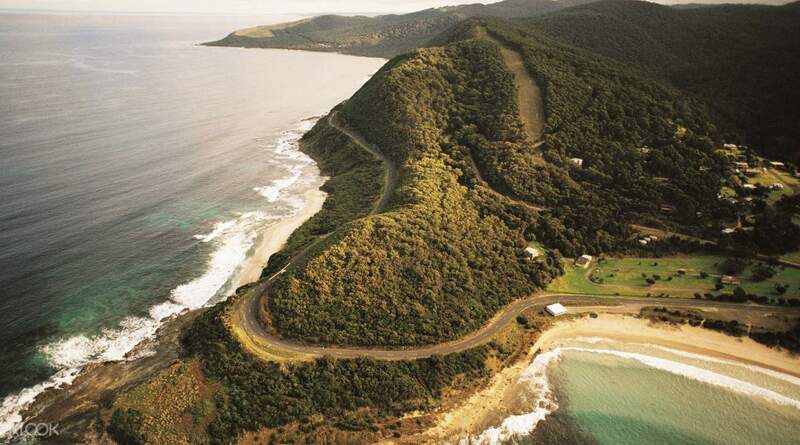 love Great Ocean Road. good driver. It was a really informative, fun, and enjoyable day tour. Props to the driver/tour guide for making the day tour so much enjoyable. His name is Joe, and he's amazing! We had to change bus at Apollo Bay because our bus aircon keeps on shutting down every 10 minutes. The bus replacement was from another company and it was not as good, but at least the AC is working well. Overall, it was a great experience. All the stops are well-planned. It was a really informative, fun, and enjoyable day tour. Props to the driver/tour guide for making the day tour so much enjoyable. His name is Joe, and he's amazing! We had to change bus at Apollo Bay because our bus aircon keeps on shutting down every 10 minutes. The bus replacement was from another company and it was not as good, but at least the AC is working well. Overall, it was a great experience. All the stops are well-planned. It was a fun-filled tour! The coach driver/guide knew a lot and went above and beyond by sharing his extensive knowledge about the history of the Great Ocean Road as well as some historical facts about Australia. It was a fun-filled tour! 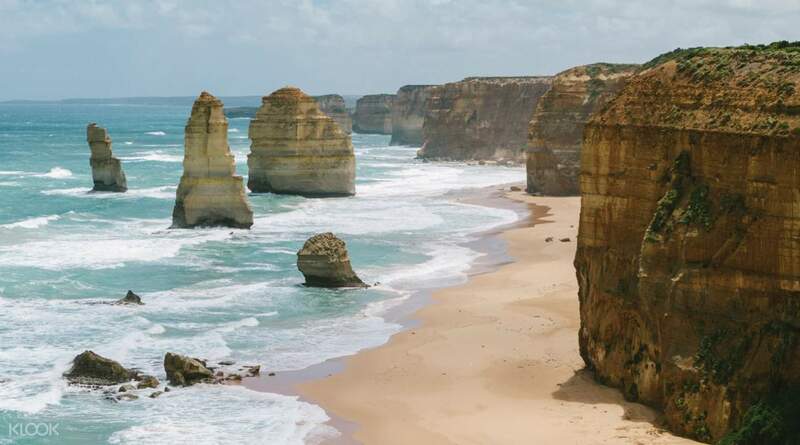 The coach driver/guide knew a lot and went above and beyond by sharing his extensive knowledge about the history of the Great Ocean Road as well as some historical facts about Australia.